We all know the type, the tutters, the ones who push past you to get on the tube, the ones who elbow you just to get into a queue a fraction of a second quicker. 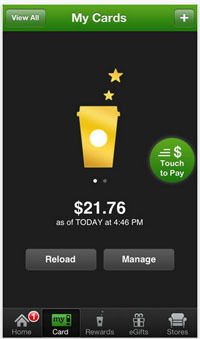 Well, luckily for these angry and impatient people Starbucks may soon be launching an app to allow them to order and pay for their coffees on their frantic march to the coffee shop. This isn’t just great news for pushy, crazy people everywhere, but it also means there’s less likely to be a queue when you’re calmly and happily waiting for your coffee too.